The Original Farmers Market announced this month its lineup of events for 2019, featuring treasured family-friendly activities, performances, and of course, delicious eats! Locals and tourists alike can kick off the Year of the Pig at the Lunar New Year Celebration, enjoy retro muscle cars at the 25th annual Gilmore Heritage Auto Show, and dive into the autumnal season at the Market’s Fall Festival. Celebrating 85 years as the neighborhood’s favorite gathering place, the Market continues its long-standing tradition of bringing people together in 2019 with events for the whole family. To celebrate the Chinese Year of the Pig, the Farmers Market will be hosting a day full of activities in conjunction with The Grove. 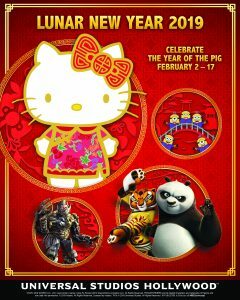 The afternoon will kick off with an unveiling of the handmade pig statue in honor of the zodiac symbol, which will be followed by an authentic Kung Fu demonstration, a magic show, acrobatics performances, traditional lion and dragon dances, and themed craft making stations. Party in true New Orleans style at the Market’s 30th Annual Mardi Gras Celebration. The weekend will feature bead throwing, beignets, Dixie beer, face painting, Cajun gumbo and jambalaya from The Gumbo Pot, along with performances by Eddie Baytos and The Nervis Brothers. The Dog Bakery will also host its annual Mutti Gras Pet Parade and Costume Contest for our furry four-legged friends. 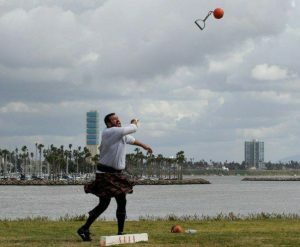 Get into the Celtic spirit this St. Patrick’s Day by celebrating at the Farmers Market. Enjoy authentic Irish food, such as the famous corned beef from Magee’s, green beer from EB’s and Bar 326, live music and more! Make the most of LA’s warm summer nights by enjoying live music every week at the Farmers Market. Open and free to the public, the West Patio will come alive every Friday night to feature a range of musical genres from jazz to salsa, rock & roll to reggae and much more. One of the Market’s most iconic events, The Annual Gilmore Heritage Auto Show will celebrate its 25th anniversary this year. The theme will be the ever-popular Muscle Cars! More than 100 American classics including lowriders, hot rods, and trucks will be on display. The tastiest event of the summer is back! Spend an evening strolling through the Market sampling flavorful bites from your favorite vendors, along with live entertainment and friends from LAFD and The First-In Fire Foundation. Ticket information to follow in early June. The Market Plaza transforms into a runway in honor of Metropolitan Fashion Week. 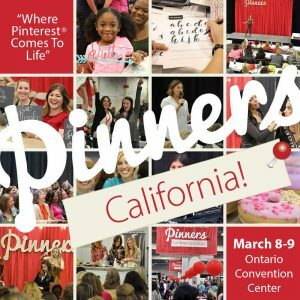 Come watch the opening ceremonies and experience the costume designers’ competition – attendees can also help pick the winner via Instagram! The Farmers Market’s oldest annual tradition, Fall Festival, is back for another year of seasonal fun. Featuring live music, a petting zoo, crafts, pig races, and a pie-eating contest, the weekend-long event has activities that the whole family can enjoy. Spend the most wonderful time of the year at The Original Farmers Market with festivities for family and friends of all ages. Enjoy cheerful music, holiday crafts, and carolers, all of which are free and open to the public. Be sure to snap a photo in front of the Market Christmas tree! Kick off the eight-day Jewish holiday known as the ‘Festival of Lights’ in the heart of the Fairfax district. Celebrate Chanukah at the Market with live music, arts & crafts, and special lighting of a giant Lego menorah. Additional details on these events will be available in the coming months. 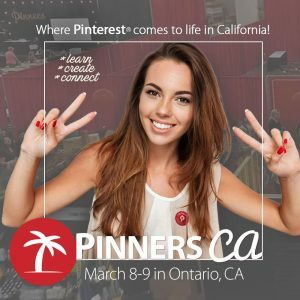 For further information, visit www.farmersmarketla.com. The schedule is subject to change. Credit: The Original Farmers Market. The Original Farmers Market has been Los Angeles’ favorite gathering place since 1934. 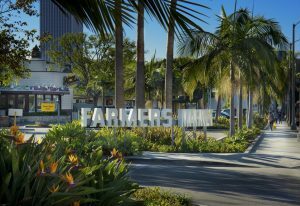 With more than 100 grocers, retailers and restaurants—as well as year-round activities for the whole family—the Farmers Market is a beloved place for locals and one of the top tourist destinations in Los Angeles. For more information visit www.farmersmarketla.com. Follow the Farmers Market on Facebook, Instagram and Twitter. Something to do this Holiday Season! See the King Tut Exhibit at the California Science Center! Don't miss your final chance to see King Tut's treasures before they leave the U.S.! Extended to January 13th, 2019! Looking for something fun and educational to do this upcoming holiday break? 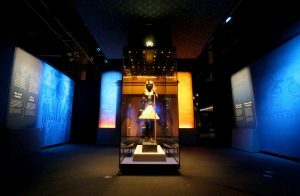 How about seeing the King Tut Exhibit before it leaves the California Science Center? My son and I checked it out a while ago and found it so interesting! KING TUT: Treasure of the Golden Pharaoh, an extraordinary and exclusive exhibition celebrating the 100-year anniversary of the discovery of his tomb is something you should see! The whole family will enjoy this exhibit! The exhibition’s curated collection represents the largest assembly of artifacts and gold from Tutankhamun’s tomb ever on public display outside of Egypt, which has historically been limited to approximately 50 items. On display are many items the Boy King himself used in life and in death. Beginning December 26 and continuing through January 13, the last ticket time will be 5:00 PM and the exhibition will close 90 minutes after the last ticket time. All other Science Center exhibits will close at 5:00 PM. On New Year’s Eve, the last ticket time will be 3:30 PM and the exhibition will close at 5:00 PM The Science Center is closed on New Year’s Day. Self Disclosure: I received a Media comped visit to facilitate this post. The image was provided. See photo credit above. The Habit Burger Grill Serves Up French Onion Charburger October 3rd-November 21st! Looking for a delicious Burger to try this weekend? The Habit Burger Grill has you covered! 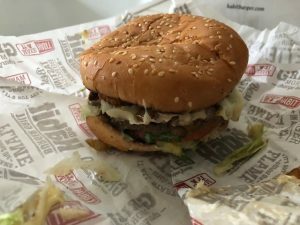 Their New French Onion Charburger is absolutely delicious! But, you have to hurry because it is only available for a short time! I usually go for their Veggie Burger or one of their salads but this sounded interesting and so I just had to try it! 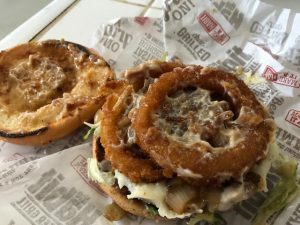 My favorite thing about it is the sweet caramelized onions and the two perfectly delicious and crisp golden onion rings. It is served on a toasted sesame seed bun, with fresh shredded lettuce and tomato. This one is definitely a must-try! 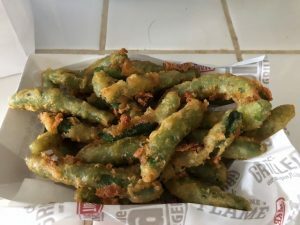 And, don’t forget to try my other favorite.. the Tempura Green Beans! I simply can not go to the Habit Burger Grill without ordering this delicious side. Self Disclosure: I received a gift card to try out the new burger and facilitate this post. No other compensation was received. Photos: SoCal City Kids. 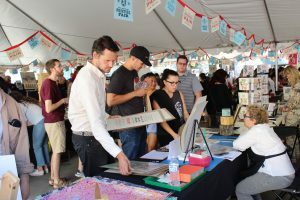 The Los Angeles Printers Fair at The International Printing Museum in Carson, CA celebrates a decade of bringing the best of letterpress, book arts, and the paper arts to the LA area. 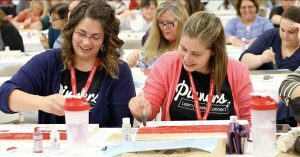 With the backdrop of the world’s largest collection of working antique presses, the LA Printers Fair annually brings together 80 artistic vendors and 1,700 visitors to experience the creative worlds of handmade books and beautiful printing. 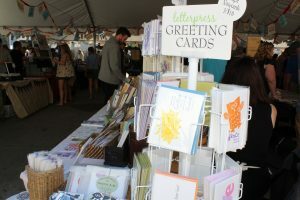 Exhibitors include many of the greatest letterpress and printmaking artists in the Southwest and beyond, offering custom posters, printings, hand-printed cards, memorabilia, hand-made paper, and antiquarian books for sale. Throughout the Museum’s galleries visitors can print their own keepsakes on antique letterpresses, have their name cast in printer’s type, make paper by hand, or even screen print their own shirt! 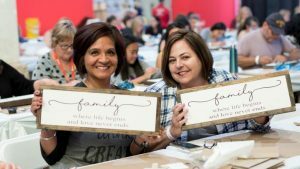 All proceeds from the fair go to The International Printing Museum, a non-profit institution dedicated to the heritage, preservation, and advancement of the printing arts. Credit including photos: The International Printing Museum.